Rapid technological developments are radically changing the world in which we live, work and communicate. This is putting a severe strain on our adaptability, but is also creating lots of opportunities. The application of IT helps to solve countless business and social issues. We believe that IT is the key to solving a lot of the new challenges companies are facing today. At the same time, IT provides an answer to major social challenges, such as a more efficient government, affordable healthcare and a clean environment. But if IT wants to play a decisive role in this effort, people need to be able to rely on smoothly operating and sustainable solutions. Because only then IT will really help people to deal successfully with the ever more rapidly changing world and wil it create long-term value. Ordina puts itself on the front line of that effort every single day. How we work is fully aligned with today’s challenges. The times when this market was dominated by huge IT volumes and large-scale projects are long gone. Now there is a growing need for compact projects that deliver results quickly; in short-cycle sprints with the flexible deployment of specialists, often using agile methodologies and focused on concrete results. 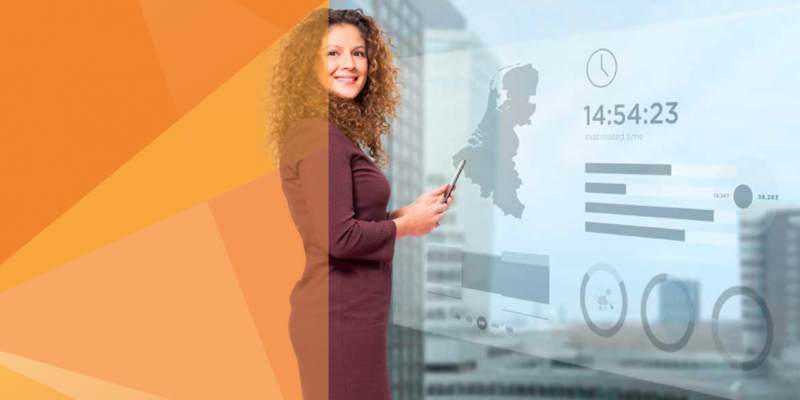 Ordina does exactly that via new, extremely successful business propositions. Technology is within everyone’s reach. Devices and apps are getting smarter, more personal and more intuitive. Technological solutions anticipate and respond to our needs and take into account our experience. Human needs and technology are converging. We expect technological solutions to be attuned to the users’ personal experience. This ‘humanisation’ of IT sets sky-high standards for design and ease of use. In addition to technological know-how, this requires medical, psychological and sociological insights and new forms of leadership to create long-term value. Ordina is responding to these developments, for instance in our training programme and in the recruitment of new employees. We are fully aware that in the end everything is about results. Not only do today’s users expect more options, they also want new solutions to do exactly what they promise. This is something that Ordina strives for 100%. Because we believe that IT should work. For people. We want to forge partnerships in sustainable innovation with our clients. We invest heavily in understanding and analysing our clients’ business, because we want to carefully apply the latest know-how and technology in the context of our clients’ business. What we see is that the smooth running of primary processes within organisations depends very strongly on the flexibility of the organisation’s IT environment. This means that IT projects have become fundamental change processes: a successful technical implementation depends on the extent to which existing processes, roles and employee responsibilities are able to adapt to these changes. That requires intensive cooperation, not just on the part of clients, but also from Ordina as the supplier. And what that requires first and foremost is the right mindset to co-create and achieve the desired result together. It goes without saying that we attach a great deal of importance to forging sustainable relationships with our clients and our employees. This is the only way we will always have the knowledge we need to use the latest technologies to be of real value to our clients and to create long-term value. Ordina is never far away from its clients, knows the local market and local laws and regulations inside out and adds to this knowledge by working with partners whenever necessary. At Ordina, the lines to our specialists and to our managers are always short.